These four Vedas contain a priceless treasure of knowledge. This Vedic literature is aimed at not just sacred rituals, but also at attaining higher levels of understanding about survival, life and death. The word Veda is derived from the word "Vid" which literally means, "Root". Thus, Vedas basically contain root knowledge about the essentials of life. The oldest of the four Vedas is the Rig Veda that contains sacred hymns that represent the ancient Hindu thoughts and philosophies, dating back to a period around 1500-1000 B.C. The Rig Veda is a storehouse of knowledge about self, attaining Moksha, the theory of self-sacrifice, etc. The Yajur Veda has information regarding the various methods of performing sacred rituals and rites. It is a manual of performing these sacred ceremonies to attain the maximum benefit of the ceremony. The Sama Veda consists of most hymns from the Rig Veda that are supposed to be sung instead of just being recited. The last and the fourth of all the Vedas, the Atharva Veda is a collection of hymns that speak of a different aspect of human society. The diverse hymns contained in the Atharva Veda speak about the dark side of science and other religious practices. The Upanishads also are a part of the Holy Scriptures, though not a part of Vedas. The Upanishads contain teachings of ancient sages and mystics. You shall find information on these topics in our related sections. Often called the fourth and the last Veda, the Atharva Veda is different from all the other three Vedas. Though the classical Atharva Veda is related to religious and socio-cultural aspects of the society, it dwells on an entirely different level of knowledge. Of all Vedic scriptures, Rigveda is the oldest existing script. Classical Rigveda is the basis of all other Vedas and it contains of a vast variety of hymns, some of which date back to almost 2000 B.C. The Rig Veda is the oldest book in Sanskrit or any other Indo-European languages. Sama Veda consists of a collection of hymns and sacred texts that are supposed to be sung instead of just being recited. In classical Sama Veda, the hymns are sung in praise of God and are basically religious and philosophical in nature. The hymns of Samaveda are derived from the Rig Veda and thus impart the lessons of the Rig Veda. 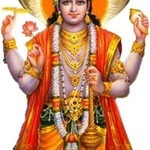 If one has to know about Yajur Veda in simple terms, it basically talks about the various steps by which religious rituals should be performed. It is a step-by-step guide about the right way of performing religious ceremonies and sacred rituals. The word Yajur Veda is a combination of two words, "Yajus" meaning sacrifice and "Veda" meaning knowledge. I request please remove the word "aryan race"
as periyava has explained many times , there is no "aryan race"
definition of the word appears in many shastras bhashyams etc.